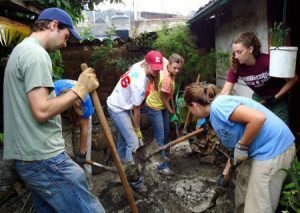 Missions do important work for their community as well as others. In order to go on mission trips missions must come up with the funds. A good way to do this is through fundraising. Giving Bean’s coffee fundraiser is the perfect way to raise funds for missions fundraisers for mission trips and any other projects the missions are involved in! With no startup costs, fast shipping, step by step instructions, and online support fundraising with Giving Bean is a breeze. Freshly roasted coffee, artisan teas, and all natural gourmet cocoa is hard to resist and there is something for everyone! Groups make 40% with the traditional paper fundraiser along with 25% for any online orders. We also have an option for a ‘Show and Sell’ of 50 of our most popular items. Which is just the thing to sell after church. It helps to spike some interest in your fundraiser. Participation is key, so assigning each person a certain amount of products to sell will help you reach your goals.